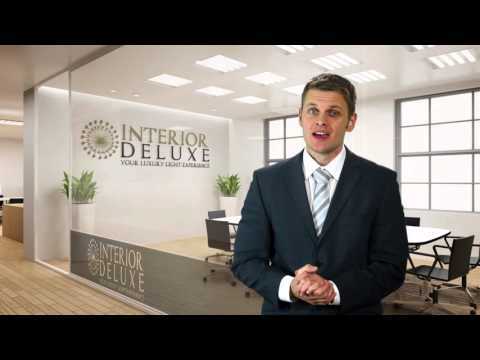 Learn more about Ceiling Lights by Watching a Video! Modern ceiling lights can perfectly complement the style and look of a modern home. It can also turn the old fashioned and outdated home into a modern living space. There are many different types of ceiling lights that create difficulty for first-time buyers. This buying guide is written for newbie buyers who are purchasing ceiling lights for the first time. When purchasing a modern ceiling light, you have to consider different factors. The ceiling light should suit the living space and your illumination requirements. Not only that, you also have to decide what color, type, design, size, and light quality ceiling light will best suit the location. We will cover all this and more in this buying guide for a modern ceiling lights. By reading this guide, you will be able to purchase a ceiling light that brilliantly illuminates a room. You must think carefully about the type of ceiling light you buy for the house. Ceiling lights come in different designs that suit different purposes. Here we will take a look at the most common types of modern ceiling lights that you can buy according to your needs and requirements. The flush mount ceiling lights are available in two varieties: Full-flush and Semi-Flush. The full-flush ceiling lights are mounted flush with the surface of the ceiling. The lights are placed directly on the ceiling with no hanging parts. The frame and glass of the lighting fixture are attached directly to the ceiling giving it a more streamlined look. This allows greater creative flexibility on where you install the lights. The sleek and simple design of the lighting provides unobtrusive illumination to the living space. As the name implies, the semi-flush ceilings lights are not completely affixed to the ceiling similar to the full-flush ceiling lights. They hang slightly below the base as you can see in the picture. You can find a number of different types of semi-flush ceiling lights. The light falls somewhere between the full-flush and chandelier ceiling light in style. Murano glass ceiling lights range from minimal designs to ornate shapes. The Murano glass represents centuries of excellent craftsmanship that has been perfected through the ages. Ceiling lights that feature Murano glass look elegant and graceful, perfectly complementing modern design homes. Drum shaped Ceiling lights feature crystal shade wrapping along the light source, which gives the appearance of a drum look. The drum-shaped ceiling lights offer maximum illumination directly below. These are great transitional lighting fixtures that look great in every modern design home. Cylindrical ceiling lights are a moderm form of ceiling lights that are available in ornate designs. These ceiling lights add a touch of elegance to any room. The ceiling lights are available in many different designs and shapes. Directional ceiling spotlights as the name implies are used to focus light into a specific direction. Using the lighting solution, you can highlight a specific area in the room. You can spotlight paintings, living areas, pianos, workspaces, plants and much more using the lighting solution. The use of the lighting fixture is as limitless as the imagination. The wide variety of directional lighting fixtures can suit the taste and budget of different users. The LED Ceiling lights contain bulbs that are extremely energy efficient. The lights require minimum maintenance as well. Since LED bulbs do not get hot even after being used for long duration, they do not require frequent replacement. Other than a room illuminated by LED ceiling lights looks modern and slick creating a pleasant impression and increasing the appeal of a room. The ceiling lights come with different accessories and options. Lighting fixtures with dimmers allow you to adjust the brightness level. This can save energy costs and extend the life of the bulb. They are also available in different bulb type options. You can select halogen, fluorescent, and LED ceiling lights. When it comes to energy efficiency and bulb lifespan, LED ceiling lights are your best option. These lighting fixtures consist of LED bulbs that allow maximum energy savings. They last for a much longer period also as compared to fluorescent or halogen bulbs, thereby offering you value for money. Ceiling lights also come in different sizes, design types, and colors. The availability of a large variety of ceiling lights makes it difficult to pin down the best light for a room. You need to look at a number of different factors such as lampshade material and color, size, accessories, and style of the lighting fixture. When selecting a ceiling light for the dining table, the recommended height is about 30’’ for the lower part of the ceiling lights. In addition, the diameter of the ceiling lights should be about ½ the tables’ width. You can add the length and width of the room and then convert that resulting number into inches to find the right size ceiling light for the room. You should also consider the ceiling light shades before buying one for your home. The shade may be a simple opaque glass covering or a premium quality Murano glass. It can be of different shape ranging from drum-shaped, cylindrical, circle, and much more. On a final note, you must always select the right size ceiling light that perfectly complements the room. Buying an overly large ceiling light for a small space will just make the room look smaller. On the flip side, a small size ceiling light will appear out of place in a large room.